Today's theme reminded me of the "covering" we get when our friends pray for us. It made me remember the prayer shawl I was given more than a year ago, when I had eye surgery. 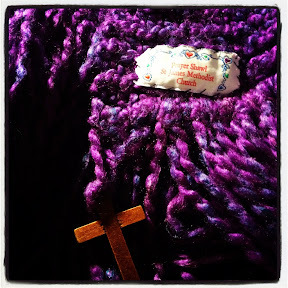 Sometimes, you just need to wrap yourself in prayer - and this shawl is a tangible reminder of this!